Everywhere Aakash looked, he could see ‘unlimited’ offers. Four years ago, the word had held a lot of meaning for him. He thought back to those days when love was in unlimited supply. He always had a spring in his step then and every day was something to look forward to. How suddenly things changed! He had turned to drinking as a solace to tide over his business losses. He saw his family drift apart. De-addiction camp was what a friend suggested. As he walked home fully cured, he realized that he had to somehow get that unlimited life back. Mythili recalled her childhood. She fondly remembered the night light her parents had installed in her room. Even when she grew up, she had a strange compulsion to turn on the light at night. The light was a part of her now. It knew everything that happened in the room when she slept. Tomorrow would be another day, her marriage. She would have to get used to sleeping without the light. Her mind formulated a plan. Early the next morning, Mythili extracted the red bulb from its socket, packed it in her bag and clapped her hands in sheer glee! He started by giving food to a homeless person when he was a child. The struggles of the poor, homeless, were always in his thoughts. He wanted to build homes for and feed all the homeless people. As he aged, his empathy grew stronger. He provided shelter to the homeless. He played with them and ate with them. His offspring didn’t quite empathize with his feelings as he became old. He picked up his bag and walked towards one of the shelter homes where he would stay for the rest of his life. The irony of it all pained him. When the last boarding call for the flight was announced, Veena looked at her watch. There was still twenty minutes to midnight. A part of her wanted to get on board but another part wanted to run home. Memories of a midnight a few years ago haunted her. Then, she had eloped with a man, much to her father’s opposition. Only her husband’s vagrant ways made her return. Tonight, it was another disagreement with her father. She realized that midnight had a message for her. It was telling her to go home. She sobbed and ran out of the airport. I had an unusually funny Sunday. Yesterday, me and my wife Radhika had promised the kids that we would go out on Sunday morning, have lunch at the food court there and be back in the afternoon. The kids were enjoying a few rides in the play area when Radhika saw a weighing platform. She quickly checked her weight and was back while I was taking a few pictures of our sons. I realized that it had been a while since I had checked my weight, so once Radhika returned, I decided it was my turn. I went to the weighing platform, stood there, inserted the coin and read my weight on the display. I stood there for a few more seconds, my hands hovering over the coin slot. Inexplicably, I was hoping the coin would return. I only realized my brain-freeze when a couple was staring at me. I smiled sheepishly and escaped their giggles. That was funny moment # 1. After lunch, we realized we had a few things to buy so we set about that task. While the billing was in progress, we spotted our sons animatedly kicking and pressing their feet on the floor. When we looked down, we saw an ad of a cockroach repellent on the floor with pictures of cockroaches. The younger one assumed they were for real and was ‘killing’ them! All of us had a good laugh over this funny moment # 2. The first was a facepalm moment while the second was immensely enjoyable coming from a two year old boy. Funny Sunday, indeed it was! The train was speeding. Vishal was alone in the dark compartment. He could hear the cries of a baby but couldn’t see anything at all. Suddenly, the train rammed hard against a wall. Before blacking out, he saw the dark silhouette of Noreen. Vishal woke up sweating profusely from the dream. It had been years since he had made love to Noreen in an empty train compartment. He had abandoned her when she was pregnant. Was she coming back for retribution? Will his life be a train wreck? Panic ran through Vishal as he broke into a cold sweat. Several years back, my friends in college and a few of my junior friends were quite excited and over the moon. They were talking about a book and being an avid reader, I could not put my curiosity behind an invisibility cloak and had to ask them which book they were getting so excited about. Some of these people hardly read anything save for their college/school books and that too, only when exams were around the corner. So when they told me that the book was about Harry Potter and his magical world, I was not in the least interested. There were plenty of reasons too. It was a time in my life when reading took a backseat as I was pursuing a professional course and had to, unwillingly, sacrifice a lot of reading. Secondly, the moment I heard magic associated with Harry Potter, it put me off for some reason. I had shut myself off completely from Harry Potter and his adventures as J K Rowling released book after book over the course of the next 10 years or so. Once I regained my reading habits sometime in 2003, I naturally did not feel inclined to read Harry Potter and turned my attention to several other books. Time has a crazy way of bringing some things back to you. 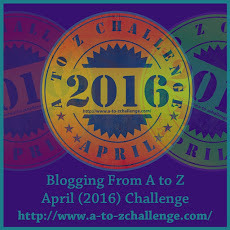 Sometime earlier this year, me and my good friend Vinay were participating in an A-Z blogging challenge when I found that he was writing on the theme of Harry Potter. Since I love reading his posts, I was sort of dismayed in my inability to comment on them as I had no knowledge or information about what he was writing. I found myself completely at sea and did confide this to him. His response kind of surprised me as well as gave me some food for thought – why don’t I start reading Harry Potter now? My chief concerns were on my age (I’m not that old, no need to sneer!) and my ability to relate to an 11 year old boy’s magical adventures. Vinay put me at ease and he did send me the first book. I started reading Harry Potter. The boy who lived, Privet Drive, the Dursleys, Hagrid, Hogwarts, Professor Dumbledore, Ron Weasley and the others in the Weasley family, Hermione Granger, Seamus Finnigan, Dean Thomas, Professor McGonagall, Professor Snape, the Patil sisters and several other characters and places made me realize what I had missed twenty years back. Of course, who can forget Lord Voldemort! Better late than never, they say. I’m now into the fourth book and just love reading the adventures. Thanks to my nice friend, I discovered the joy of reading Harry Potter! An amazing ride so far and am sure it will continue to be so for the remaining adventures.